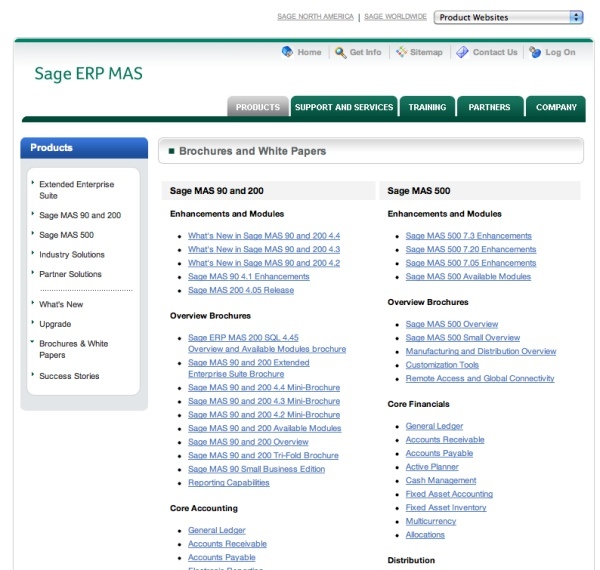 Are you looking for brochures, what’s new guides, enhancement summaries, and other printed publications describing the Sage MAS 90 and MAS 200 products? Sage have compiled a nice listing of all their printed media — which now is available for download as PDF files for easier (and faster) viewing as well as the ability to share with friends (they make great Christmas gifts too! ).